NBC golf analyst Johnny Miller has announced that he will retire in February after 29 years on the air. 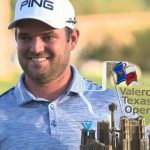 What are your impressions of Miller and what he did for golf telecasts? Jim Deeks, Fairways Magazine (@jimdeeks): Johnny Miller was original, daring, and entertaining for the first several years, and the fact that many players weren’t pleased with some of his comments is a real feather in his cap. But then I found he became duller and less informative over the last few seasons. Still, he forged a new path for golf commentators and deserves praise for what he achieved. 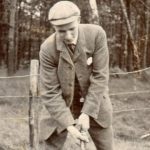 Michael Schurman, Master Professional / Life Member, PGA of Canada: I can’t lose! Johnny Miller is my favourite announcer and he is staying to do a few high-profile events. My second favourite is Faldo and he has a long-term contract. My third favourite is Azinger. Dave Kaplan, Freelance Writer (@davykap): I liked Miller’s call-it-as-he-saw-it style, and I think it will certainly be missed going forward. That candour, which bordered on old-man crotchetiness in his last few years in the booth, usually resulted in some interesting insights. It also injected spice and a bevy of hot takes into the coverage of the sport. With Miller riding into the sunset, golf coverage is actually going to get more milquetoast…if that’s even possible. 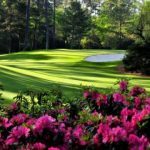 TJ Rule, Golf Away Tours (@GolfAwayTJ): I’ve always been a fan of Johnny Miller, I like his honest analysis and he knows the game so well, his insights are just that, insightful. He wasn’t the most exciting or charismatic colour guy, but he knew his stuff and I’ll miss him on the broadcasts. Hal Quinn, Freelance Writer, Vancouver: Man, it seemed so much longer than 29 years. 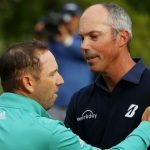 Miller rode the myth that he had the guts to tell it like it was but all he ever did was utter the ‘choke’ word after missed putts, says guys had ‘a case of the nerves’ after a Ryder Cup missed fairway, give nonsensical odds on a guy making a shot, and after another wild guess about a green contour ask: ‘Huh, Rog?” The mute button was about to get some rest until NBC named his replacement. 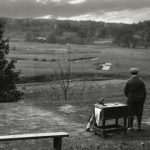 Peter Mumford, Fairways Magazine (@FairwaysMag): Miller wasn’t nearly as curmudgeonly or controversial as some people like to suggest but occasional comments got him into hot water and established a reputation for being too critical. Early on he said that players “choked”. Players didn’t like it, even if it was true. That ability to just speak his mind and say what many of us were thinking was polarizing in some cases but also very real. At a time when other analysts just described the play, Miller went deeper and gave you an understanding of what was in the player’s mind and how that might impact the shot. He was honest and forthright without needless blather and always well prepared. I think he’ll really be missed. 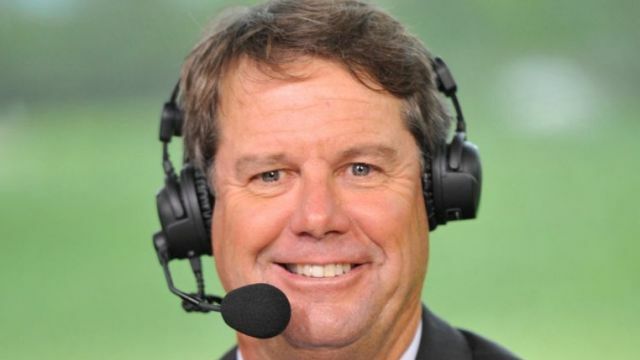 NBC has hired Paul Azinger to replace Miller. Do you think Azinger is a good choice and what will he bring to NBC’s coverage? Deeks: If it wasn’t Paul Azinger replacing Miller, then I’d say Miller would be sorely missed. But I think Zinger is terrific, and I look forward to his fearless and interesting commentary. Golf needs him, and if he puts a few noses out of joint, God bless him. Schurman: Azinger is a perfect choice! He is a past player with a credible record which allows honesty. He is respected by the players which opens the door to inside information. He is intelligent and quick thinking. I like his voice and he is the right age to have a lengthy career. TV producers are smart people! They have an entire system in place to groom future announcers starting with talk show hosts who work up to live telecasts and finally on to the PGA TOUR. They have a stable of up and comers who are developing their skills and progressing. In the future watch for Frank Nobilo, David Feherty and Rich Learner. I prefer past players but that’s just me. Kaplan: Azinger has supposedly been brought in to maintain Miller’s legacy of candour and bluntness in the booth. I’m not convinced Miller’s style can be replicated, or that Azinger should even try. I’m fine with the Azinger hiring for lead analyst, but I would have liked to see NBC go off the map and hire a comedian to offset their new lead analyst with humorous colour commentary. Golf coverage needs to liven things up. Six hours of monotone commentary is not good for the game. Rule: I really like Azinger. He’s also very insightful about the game, often picking up on nuances that I notice and many that I don’t. He’s less controversial than Miller, being seen as the nice guy, which apparently he is. So, he’ll bring respect and knowledge to the role and will be a worthy replacement for Mr. Miller. Quinn: The euphoria over the news that Miller is finally shutting the @#$% up was immediately squashed by the Azinger announcement. How apropos in the depth of the Trump morass that a right-wing (so far right he’s wrong) white guy replaces a right-wing white guy. 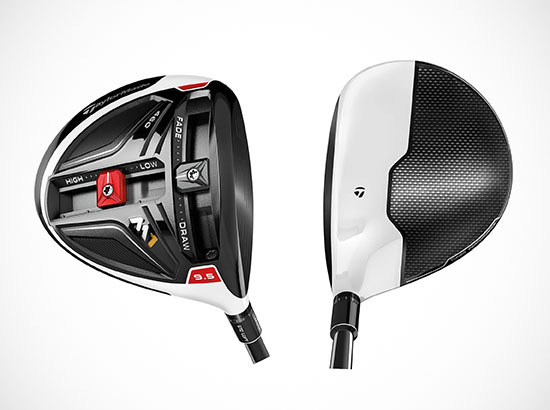 Golf its own self! How inspiring for the multi-cultural future of the game, if there is to be one. He just brings a new voice for Koch to interrupt. Mumford: Azinger can talk. Whether that’s a blessing or curse we’ll eventually find out but where Miller was short and to the point, Azinger is a rambler and doesn’t appear to have an off switch. How that fits with the rest of the NBC crew remains to be seen. Gary Koch is another non-stop talker and David Feherty never met a microphone he didn’t love, so the battle for air-time may be more interesting than the golf tournament. Personally, I think Azinger is too much of a homer and if he ever gets critical you can bet it won’t be about an American player. On the plus side, he does occasionally have some original material and a sense of humour. What storyline are you most excited about for the 2019 season? Deeks: Probably two things I’ll be watching with interest. First, the arrival of Paul Azinger and how he’ll approach his new job. I know he’s had lots of experience as a TV analyst, but this is a different gig: will he be more, or less, outspoken than he has been in the past? 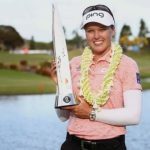 Second, will Brooke Henderson win more tournaments and, hopefully, another major or two, and separate herself from the top 5? I know she’s only 21, with at least 20 good years ahead of her, but I’d like to see her achieve Number One in the Rolex Rankings in 2019 and stay there for many years. I also know that she currently ranks No.8 behind Minjee Lee, Lexi Thompson, and Georgia Hall, which baffles me. Schurman: The number of players who are good enough to be number 1 is at an all-time high. Koepka took it over this week but there 8 or 9 others who could relieve him of it very quickly. One player who is on the threshold of breaking through is Gary Woodland. His long game is impeccable and his short game is maturing. The storyline that amazes me is how brief a ‘fling’ at the top is these days. It seems a player gets to number 1 or within grasping distance and then within 18 to 24 months, they are still in the top 10 or so but no longer at the top. I guess we were spoiled by Nicklaus, Norman and Woods who seemed to live there throughout their career. 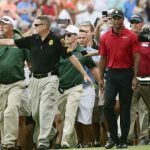 Kaplan: The Tiger Woods major pursuit, obviously. The quest to beat Jack continues. It’s going to be amazing! 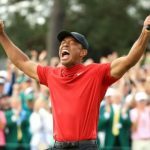 Rule: The majors are what excite me in the golf season, and I’m excited to see if Tiger can add one to his total to revitalize the talk of catching Jack’s magical #18. I assume he’ll be the favourite at Augusta, and perhaps he now has the confidence to continue his Sunday charge that has often come up short the past few seasons. It will also be great to see so many Canadian’s on tour this year, the number is growing every season, and you just know that someone is going to break through soon. 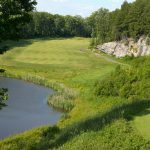 The new Canadian Open date is exciting too, so there’s lots to look forward to in 2019! Quinn: Brooke Henderson seems to have all the tools — on and off the course — to have a transcendent season. She is capable of becoming the top woman player in the world. That would be one of the greatest stories in the nation’s sporting history and would be more than exciting to witness. Mumford: For me, golf is all about the majors and a handful of other key events. Right now, there are easily a dozen elite players in the mix for those events and with Tiger back in contention, there’s even more to get excited about. 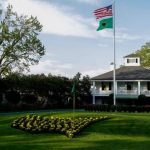 The Players Championship is five months away and the Masters six and I can’t wait.